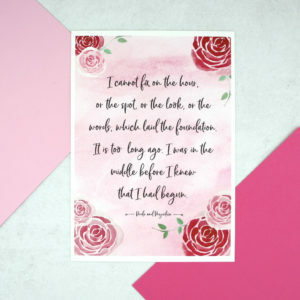 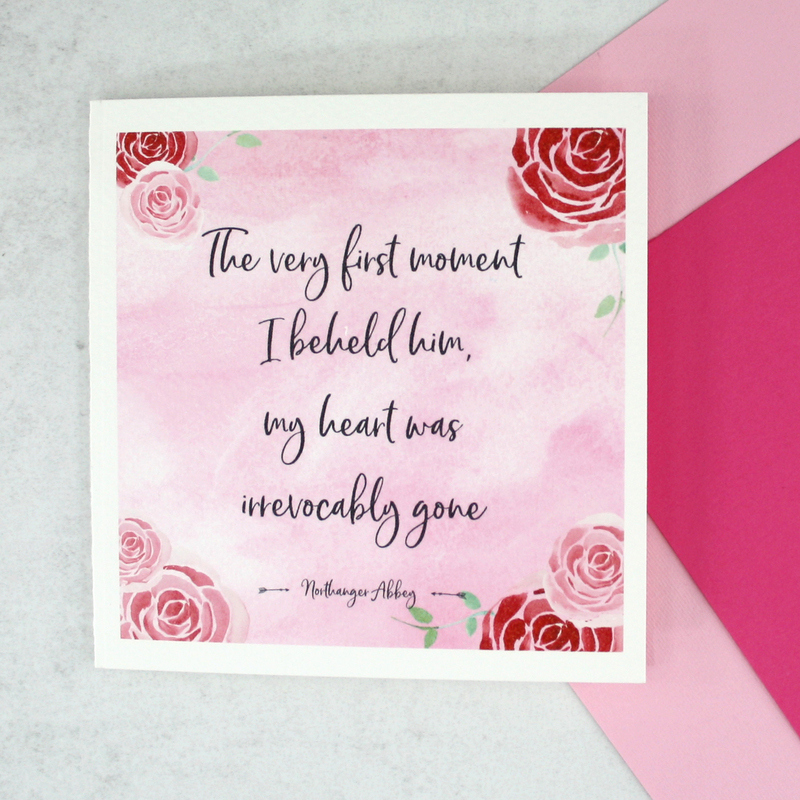 A pretty pink romantic literary card for Valentines Day. 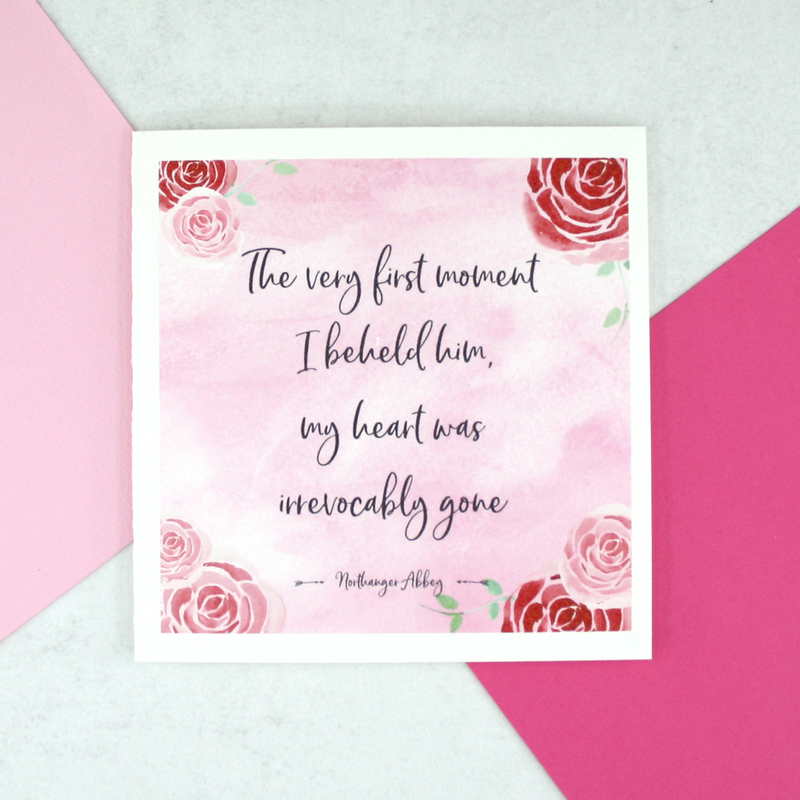 The perfect Jane Austen quote to celebrate any romantic occasion in your life. 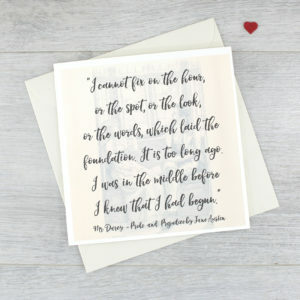 The perfect card for book lovers. This Jane Austen quote is from her novel Northanger Abbey. 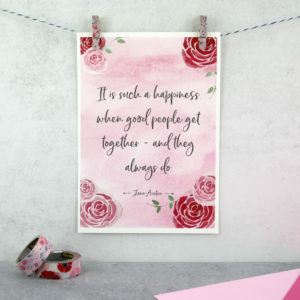 I always think that this is one of Austens novels that is too often over looked in favour of the more popular Pride and Prejudice or Persuasion. 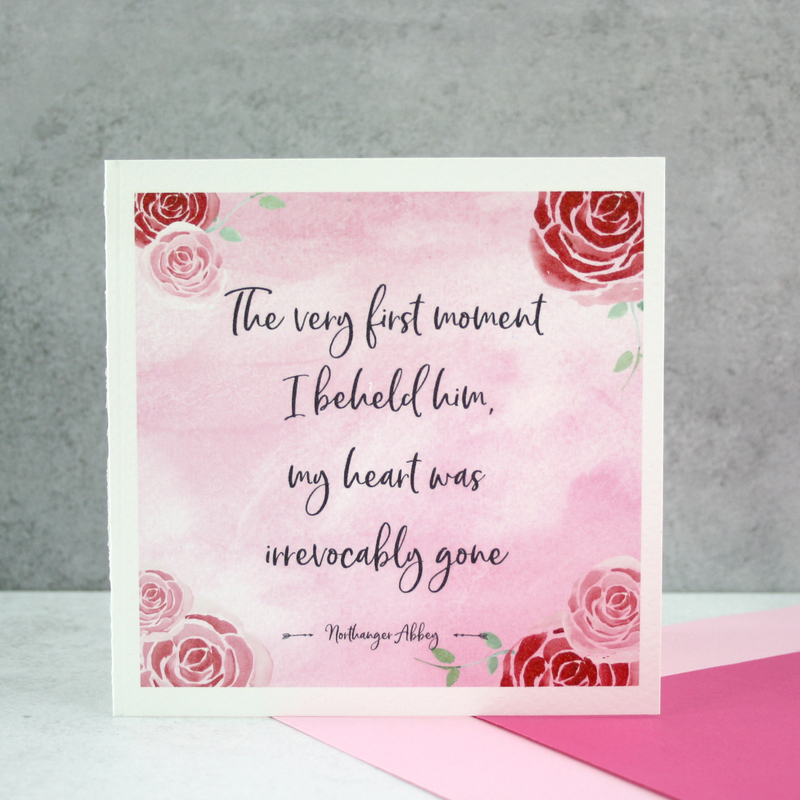 While in fact it is a really sweet novel, with witty humour and a romantic leading lady and gentleman that you are rooting for from the very first pages. 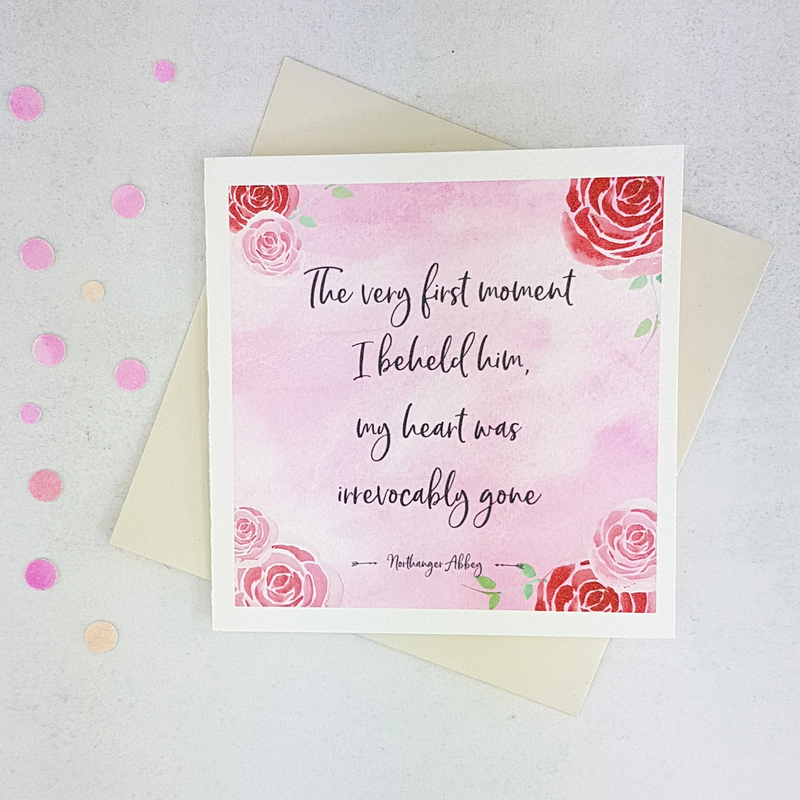 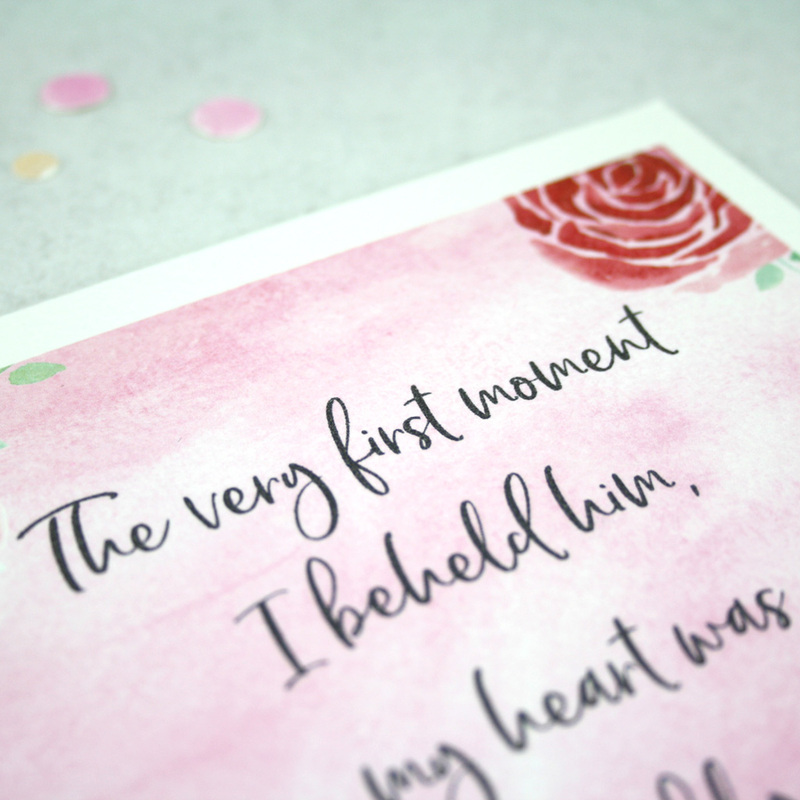 This literary quote card is the perfect anniversary gift for your Jane Austen loving partner! 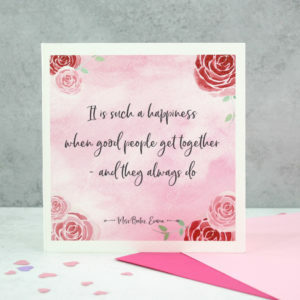 Pair it up with a set of our Jane Austen: On Love and Marriage pencils. 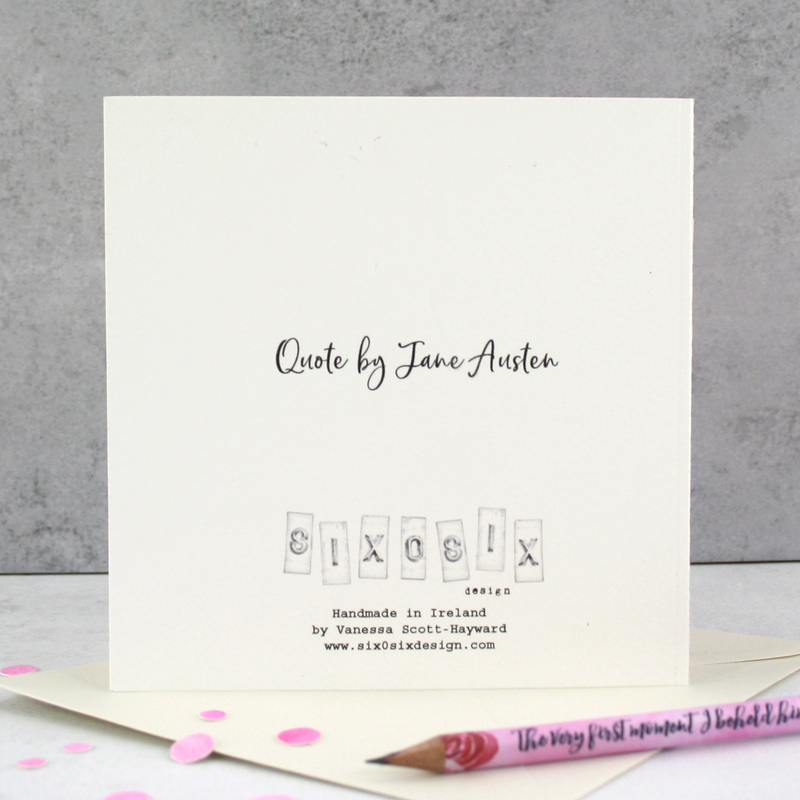 The pencil set has five of Jane Austens quotes on love and marriage each on its own pencil.